Checker Cars is an airport taxi service company that operates in airports in the United Kingdom. 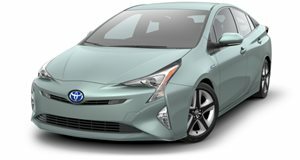 This same company has recently announced that it is the first to receive an order for 80 Toyota Prius cars for its fleet of airport cabs. With over 1,000 taxi drivers in most of the UK&apos;s airports, Checker Cars has stated that they expect to replace their cars every couple of years in accordance with their environmental policy of reducing emissions. An appealing factor for swtiching to the Prius is that the Prius T4 returns 70.6 mpg and emits just 92 g/km. Next time you fly into an airport in the UK, your cabbie may pull up in a Prius.